UK commuters voted with their heels and wheels in the month of July, as a collective one million human-powered commuter miles were achieved in the target of just 30 days. Heading into a warm summer in the UK, Red Bull put out a call to commuters with its second edition of the #MillionMileCommute. Red Bull asked workers across Britain to ditch their normal way of getting to work – be it via tube, train, bus or car – in favour of walking, running or cycling. The results have been unprecedented, with 1,009,969 miles achieved overall. Riders have pedalled a total of 993,884 miles, while runners and walkers have pounded the pavements for 16,085 miles. 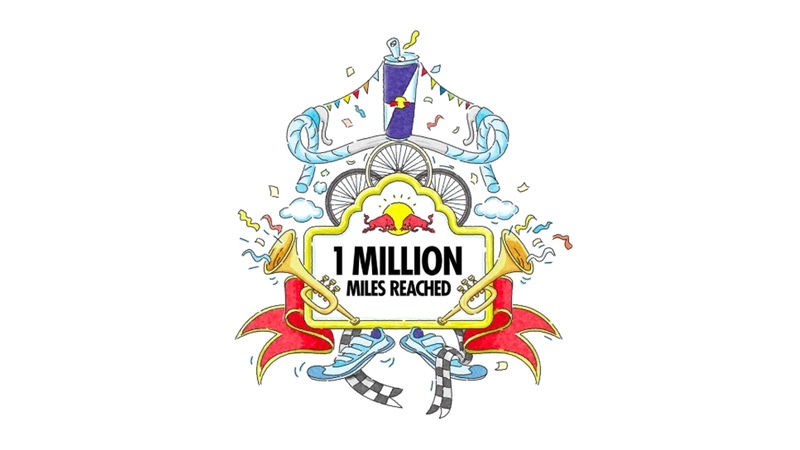 In 2017, Red Bull’s Million Mile Commute took just under three months to hit the magic million goal. Once participants signed up to the initiative, they were encouraged to log their commute on Strava, the social network for athletes. There were notable over-achievers with rider Daniel Dignam from Cambridge, logging 1,401.61 miles throughout July cycling, on average, a notable 40 miles before work. The top runner was Paul Martelletti who covered 316.38 miles across the streets of London as part of his commute, averaging 14 miles per leg. Martelletti is an ultra-runner, known for running the quickest ever marathon dressed as a superhero; he also won the inaugural UK leg of the Wings for Life World Run and outran the Catcher Car for an incredible 69.37km to come fifth in the Wings for Life World ranking. The Red Bull Workplace Awards, run in association with Cycling UK, will soon reward an overall winner, with subcategories available for ‘Best for Cycling’, ‘Best for Running’, ‘Best Start Up or Micro Business’, ‘Best Small Business’, ‘Best Medium Size Business’ and ‘Best Enterprise Business’. Employees or employers were encouraged to submit an online entry form, based on Cycling UK’s criteria for the new Cycle Friendly Employer accreditation, a new scheme launched by the charity to recognise and support the improvement of workplace facilities. By signing up to the Red Bull Million Mile Commute at redbull.co.uk/MMC, active commuters were given the opportunity to win various rewards for their participation. Every Red Bull Energy Drink & Red Bull Sugarfree 250ml can, with a limited edition design, gave consumers an access code for 30 days of Strava Premium (now re-positioned as Strava Summit).